Featherdale Wildlife Park in Sydney's North-West is a privately owned park surrounded by native bushland and is committed to animal conservation and education. 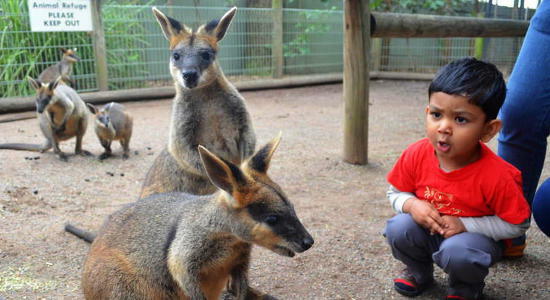 Visitors can wander the park to see over 1700 native Australian animals here including kangaroos, koalas, wombats, Tasmanian devils, bilby's, wallabies, dingos and an assortment of reptiles and birdlife. Featherdale Wildlife Park is open 7 days a week from 8am to 5pm with regular wildlife presentations held throughout the day. 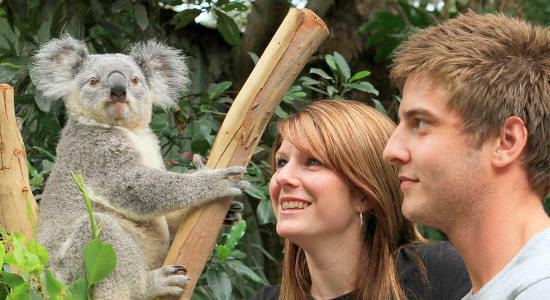 Visitors can even get up close and personal with a number of wildlife encounters available with koalas, reptiles and mammals. Browse all Featherdale Wildlife tickets and encounters below and book online here! Give the gift of animal goodness with this gift voucher for general entry to NSW's iconic Featherdale Wildlife Park. Find out more information here! Gift this wildlife experience and send someone special to Featherdale Wildlife Park with entry tickets and a Koala Photo Pack included! "Featherdale is peaceful, rewarding for me?magic. 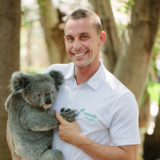 At Featherdale, it?s so exciting to see people just light up and fall in love with Australian animals."